One of the most common problems in cctv systems is water ingress into cable connections. 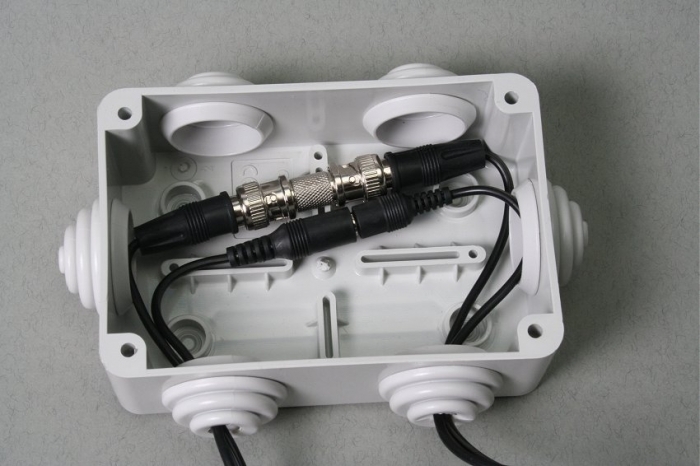 When ever you make a connection outdoors be sure to use on of these IP rated waterproof boxes to for a weather-proof seal. 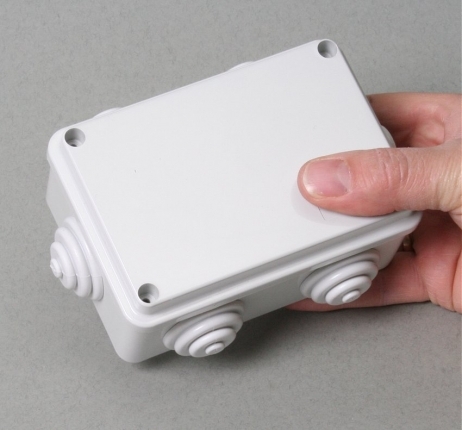 Tough weather-proof box with flexible rubber entry glands. 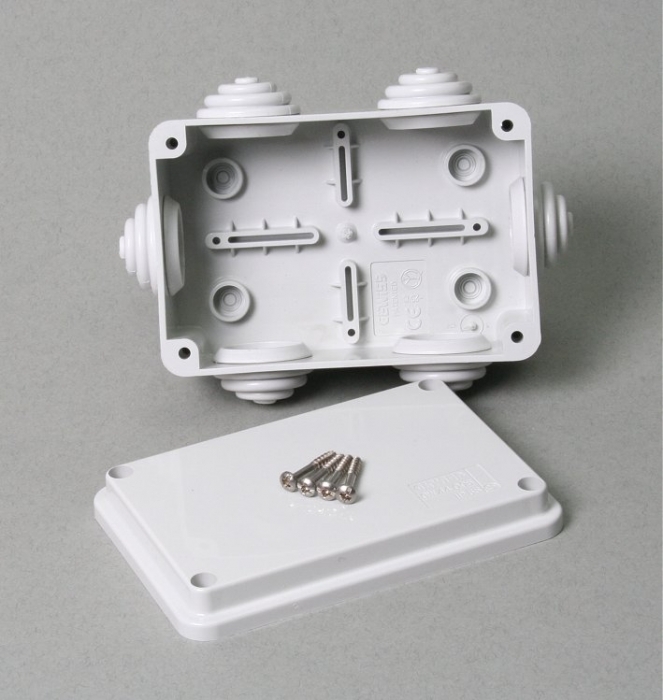 the 6 flexible rubber glands allow for a variety of cable entry options, to ensure the best possible protection against water ingress insert the cables into openings which face downwards. 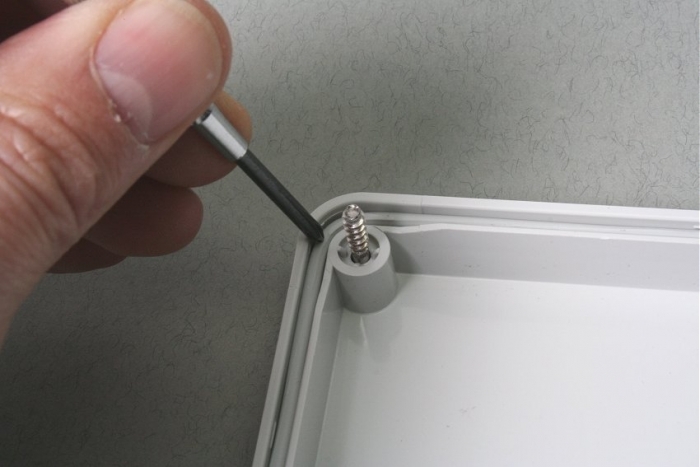 A flexible seal built into the lid of the box ensures protection against water and the elements once secured with the stainless steel screws. 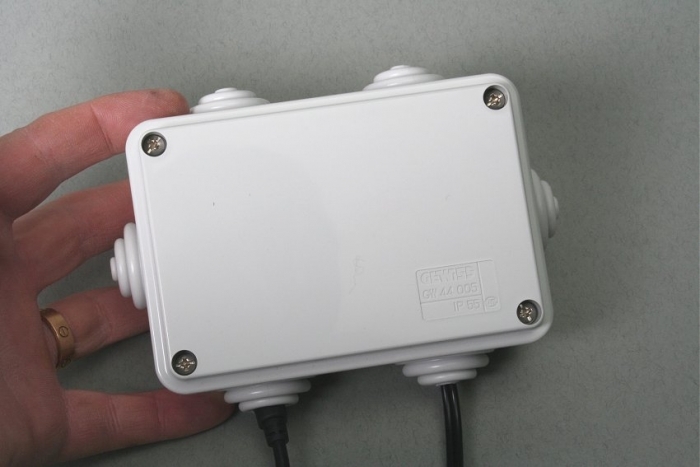 Use one of these boxes whenever you fit a camera outside or extend a video / power cable outside to help prevent image loss or deterioration. Overall dimensions 120mm by 80mm by 50mm deep.